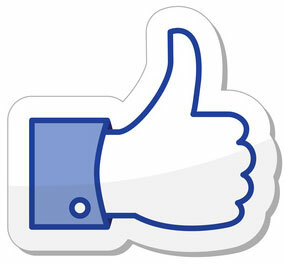 Yesterday Facebook has launched a new function: the possibility to embed Facebook posts on blogs and websites. This new function opens a new panorama, because you will be able to embed photos, videos, your status and even the latest hashtags. The new embedded posts for now are permitted just to a selected group of whitelisted publications, like Mashable or CNN just to name a few. Hopefully this will be opened to all the Facebook users really soon, after the first tryouts to see how this things works. It’s really simple. On the new you may select the green arrow and choose “Embed Post”.After that, just copy the code and paste it on your website/blog. Embedded posts will be useful to share latest or breaking news, to share your chats with your followers, add them to your blog posts, to your press releases to make everything more interactive and in real time. Or again, you can post your page/group followers best post in your weekly recap on your blog. There are really tons of ideas on using Facebook Embedded Posts for your business! Do you like this news? Is it just what you expected? Please live a comment below and let me know what do you think about it! The Power of Facebook Embed Breaking News – Last Facebook Changes Facebook Hashtags How To Breaking News – Google Updates What is This Blog?